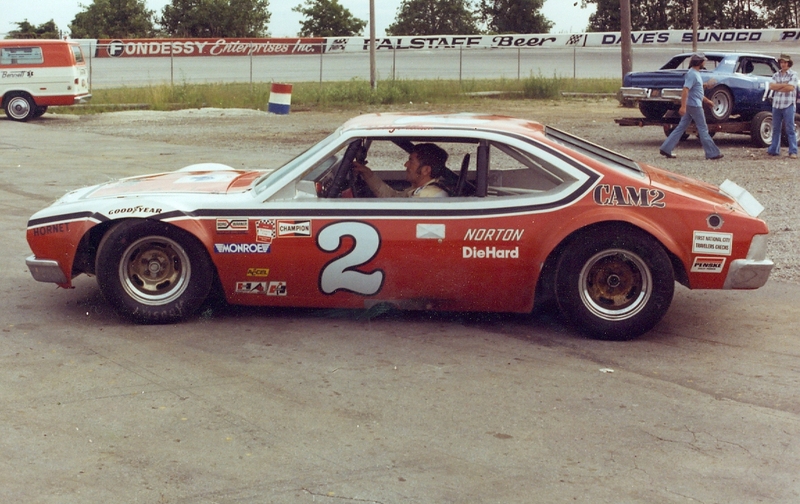 Bobby Allison brought this short track Hornet to the Toledo Speedway for the 100 lap Cancer Race back in 1976. I used an old hornet body and modified the fenders, scratch built the hood, front grille/bumpers and a few other items. Super Stocker chassis, Powerslide decals with assist from Rod McLeod on numbers and contingencies. Thanks for looking! Now that's cool! Great job. Awesome build!!! I like the attention to detail, such as the two styles/colors of wheels. Curb side, or any pics of under the hood/chassis? Very nice job with the Hornet body. Thanks for sharing. That is Awsome. Great job. Wow! This thing is sick! 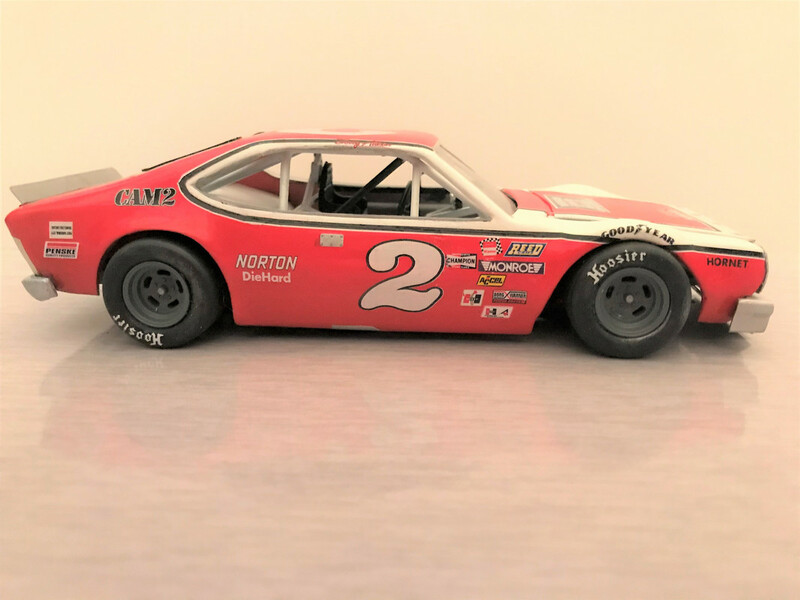 I remember seeing pictures of it in SCR back in the day and thought it looked so cool versus all the Camaros and Novas it raced against, great build! I'm assuming the body is Johan based correct? This build is WAAAAAYYYYY COOOOOOOLLLLLL!!! GREAT JOB on this one!!! Bobby had a good supply of AMC motors. 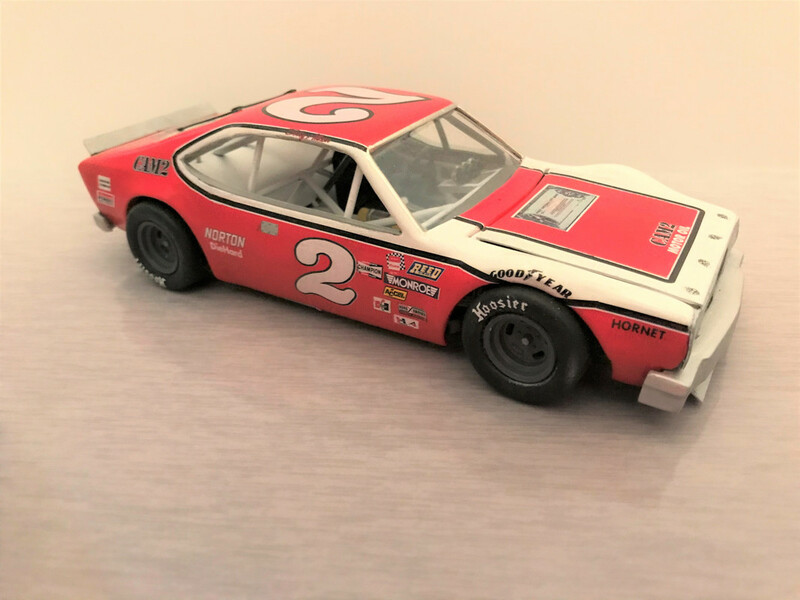 He had bought the Penske stock when they went to Mercury. 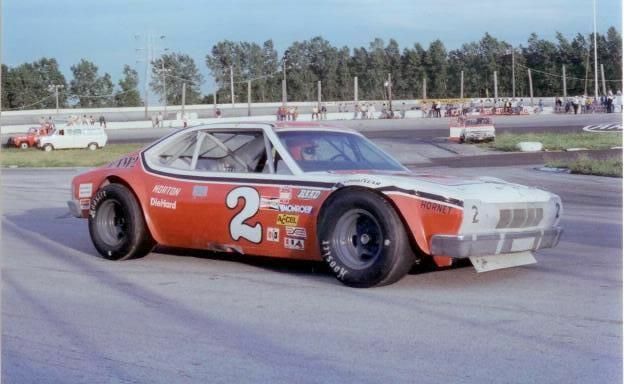 I know he had to run AMC power in all NASCAR (Cup and LMS)and ARCA races.....what that Hornet had I never saw....but kinda makes sense it was AMC. The AMC V8 is a good solid design...almost a cross between a Ford and Mopar. Not sure on the body, I got it awhile ago as a beat up old model. It may have and would love to have another! The only Hornet body done in injected plastic was made by JoHan. They did a notchback and a fastback in a few different years. All had their hood molded in. They were offered as promos and funny cars but never as pure stock glue kit. 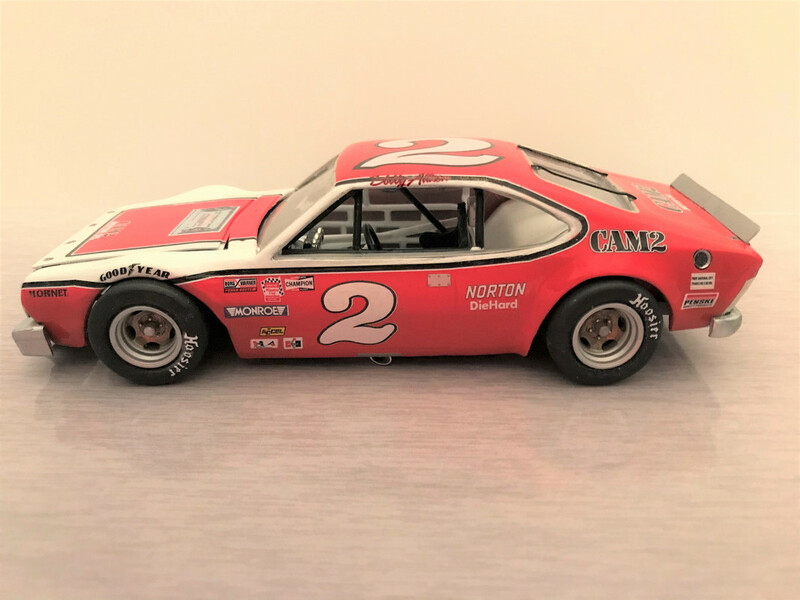 AMT offered the funny car kit in a AMT box but it was molded by and from JoHan. Johan put out a bunch of there promos as snap togethers. I had a rambler Taxi and I think it was 74 or 75 Cutlass as a kid. And yeah, AMC Motors are Screamers! Blueprinted from the factory, a great cylinder head design, over square and high revving and fairly lightweight. They are such a good design that there is an entire aftermarket these days were you can build an AMC motor brand new through three or four different companies.